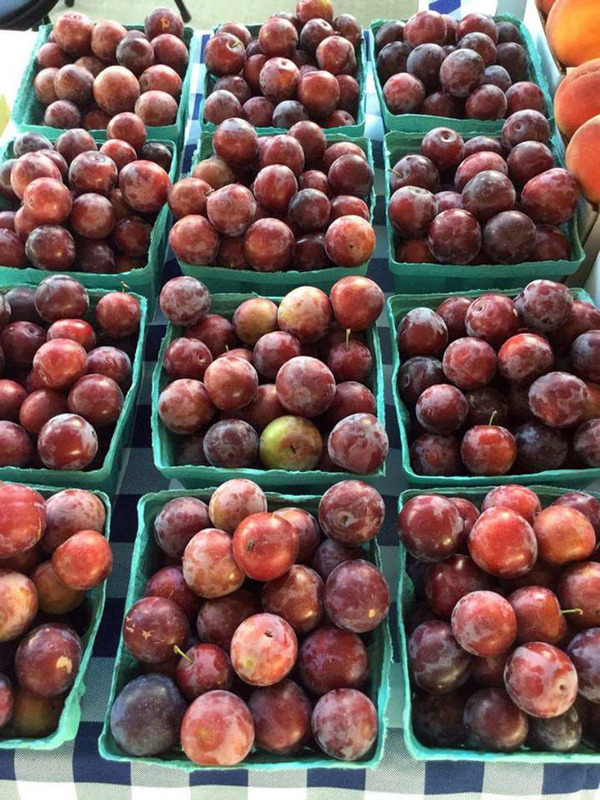 Plums are here! We also started picking Early Gold apples. For the apples I would call first since we don’t have many picked yet. Blueberries are still 10-14 days away and Blackberries are being spot picked. As always we have plenty of delicious sweet cling peaches. Don’t forget we will be at the Winchester Farmers market Saturday morning starting around 6:30 am. I can’t wait to get there to buy some, they are SO DELICIOUS!!!! !